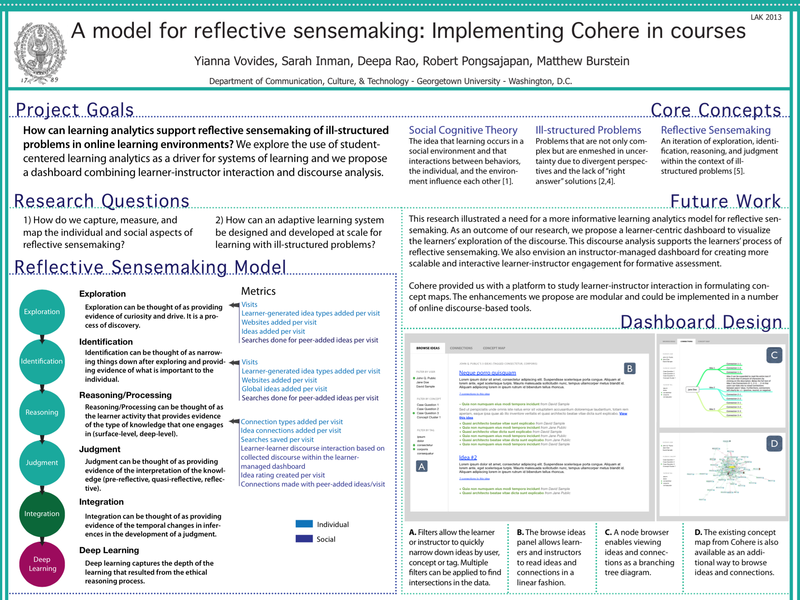 In this study, we looked at how learning analytics support reflective sensemaking in ill-structured problems in online learning environments. We prompted students to map their logic behind a moral judgement and then connect to peers who came to different conclusions. 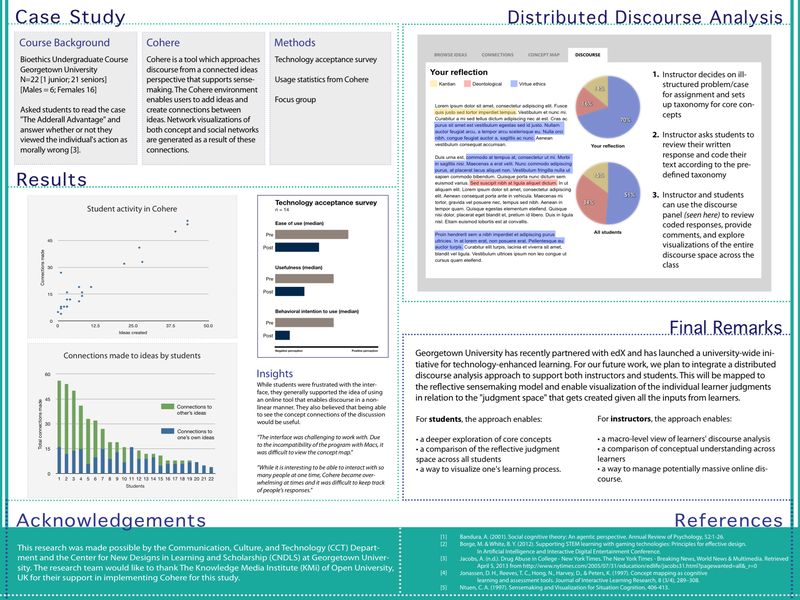 Beyond study design, we found the design of distributed discourse analytics important to the students’ understanding of their own arguments in the context of others.